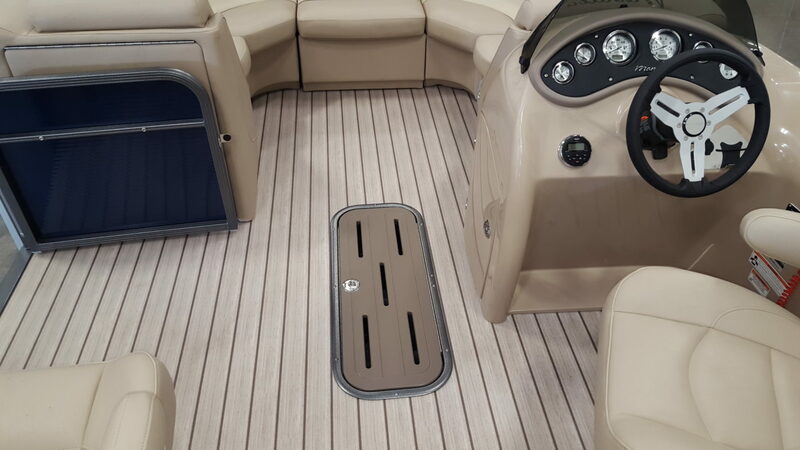 AquaTread® Premier Pontoon Flooring makes it so affordable and easy to transform your boat into the watercraft of your dreams. 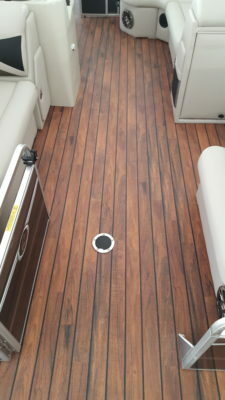 Choose from our array of patterns and colors; designed to give the appearance of real wood, without the cost. We print underneath the polyvinyl, not on top or in between, so images stay sharp and damage-free. 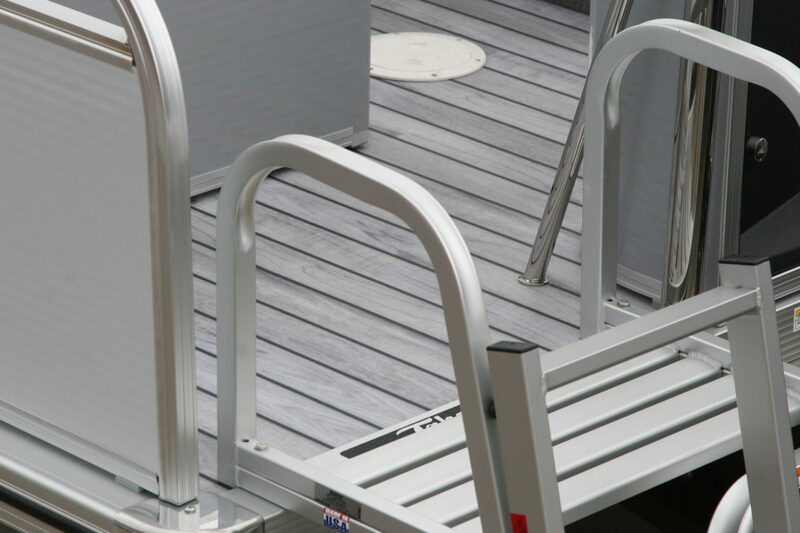 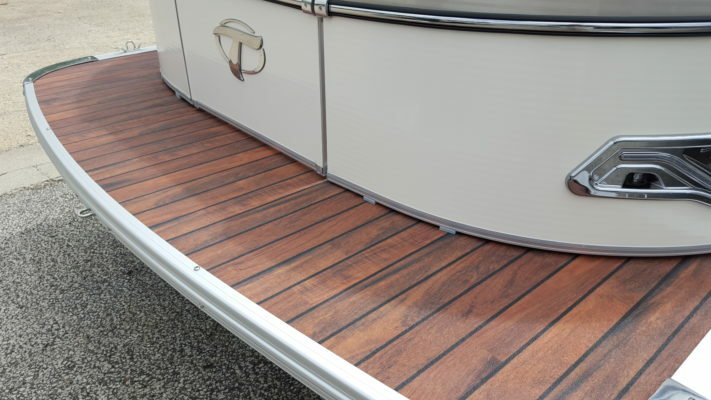 Avoid costly installation alternatives; AquaTread® just roll-outs and fit to your boat’s dimensions so you’ll be enjoying fun in the sun with your worry-free, hassle-free deck flooring for years to come. 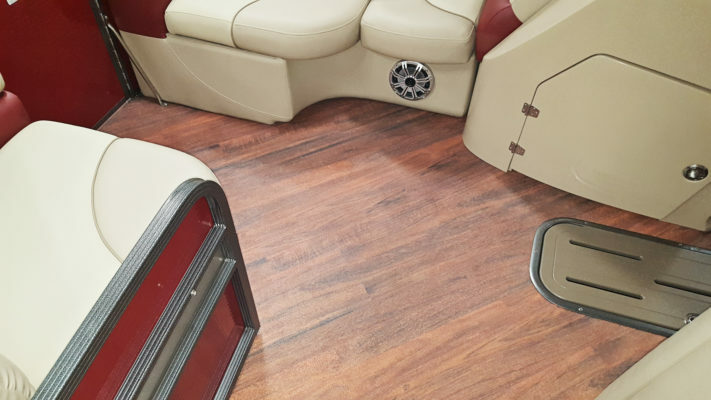 AquaTread® boat flooring is a seamless, easy to install, slip-resistant, flame retardant, durable, high performing polyvinyl that is UV stable for long-term sun exposure, excellent color retention and low-maintenance cleaning. 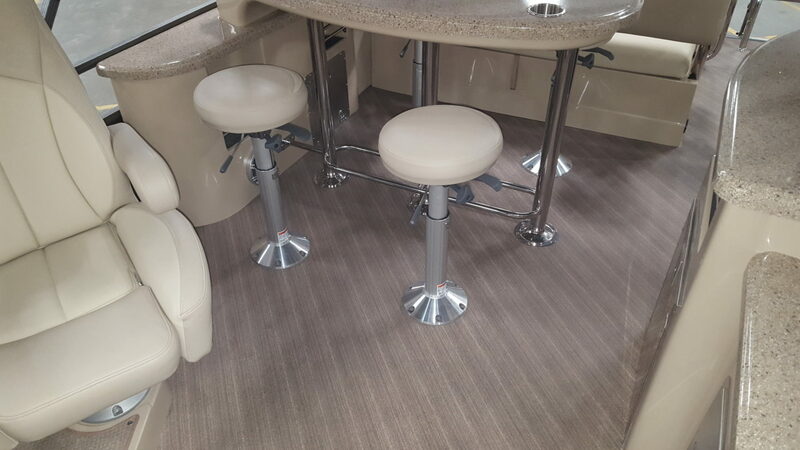 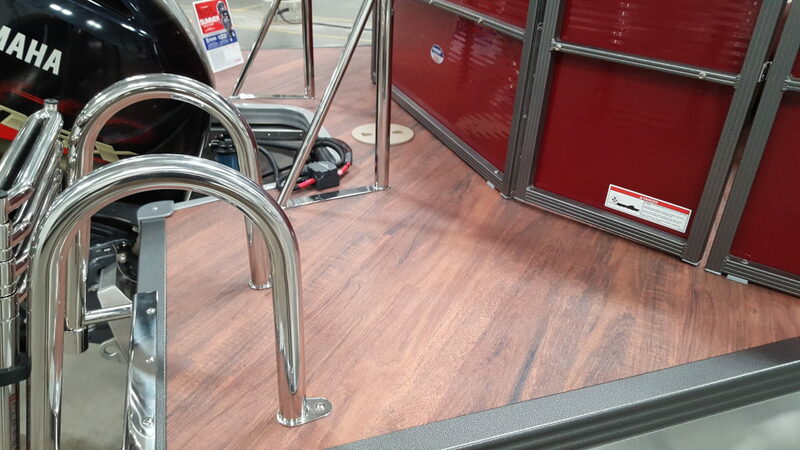 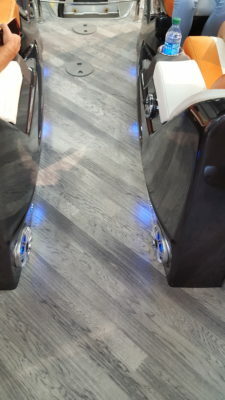 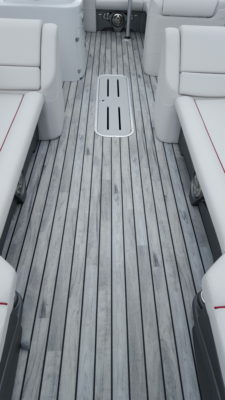 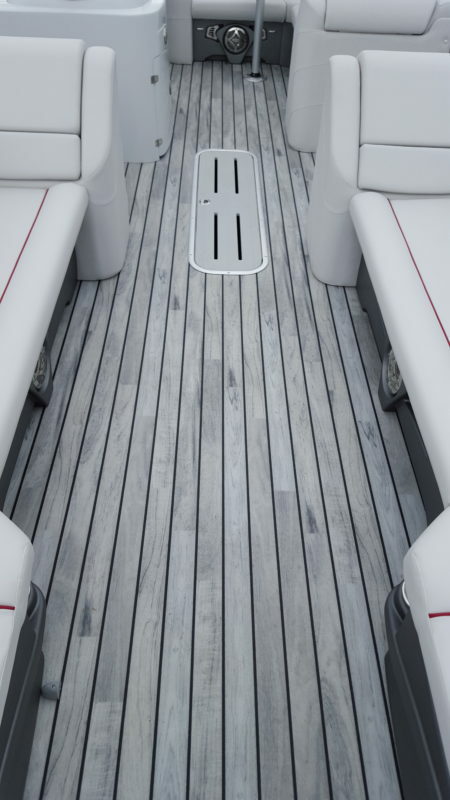 Our boat flooring products are installed on boat floors throughout the world. 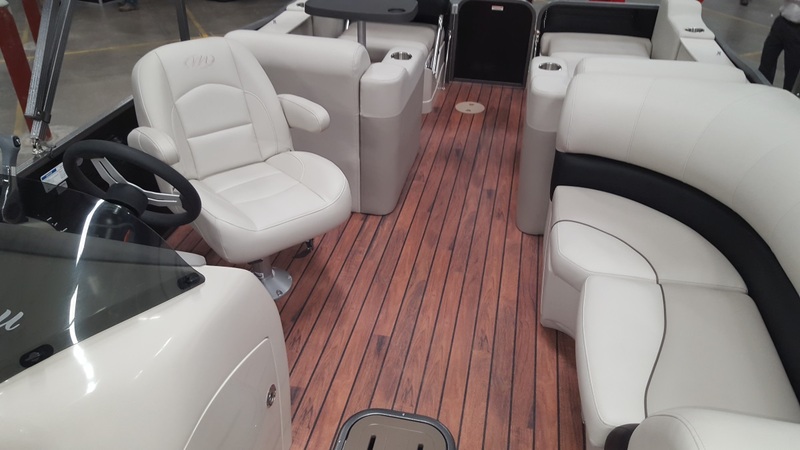 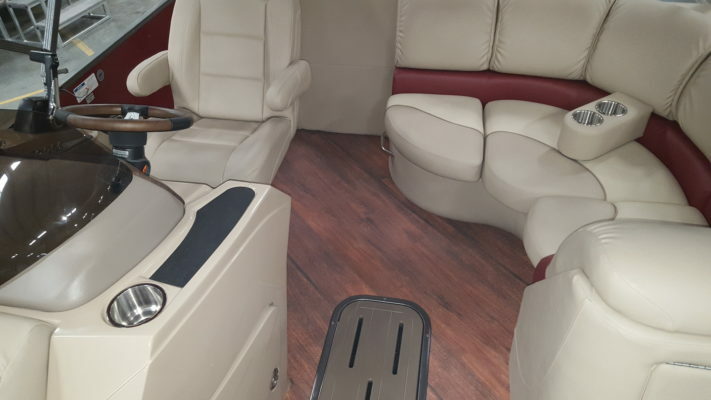 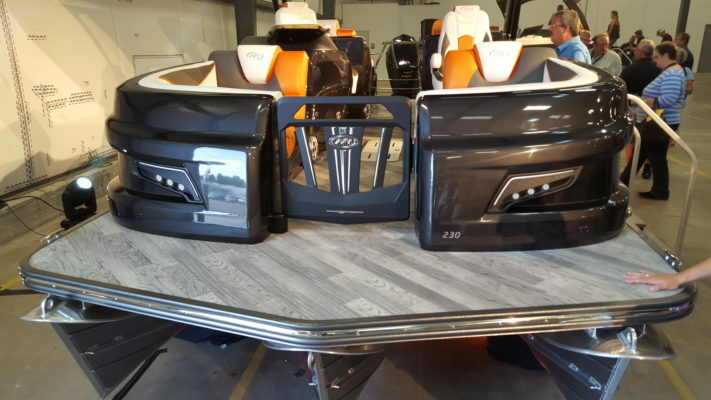 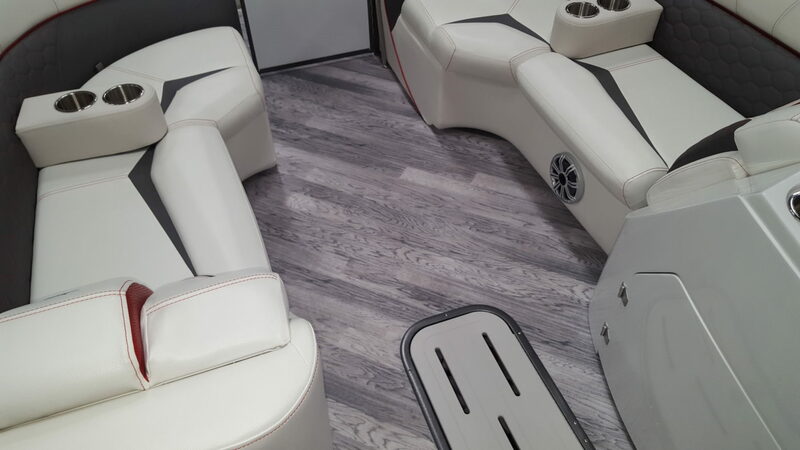 A variety of patterns and colors have been meticulously designed to create stunning, authentic wood and leather patterns, giving you the sharpest quality flooring your boat can have for your sport boat or luxury pontoon, without the expense and maintenance of real wood. AquaTread® comes in standard widths of 8 ft 6 in, and custom lengths, up to 75 feet, and in 75 mil to create not only design, but cushion and durability. We print underneath a seamless, solid, 75 mil, UV-resistant polyvinyl, not on top or in between, so the patterns cannot be scratched off or damaged by heavy traffic, unlike other thin materials on the market. 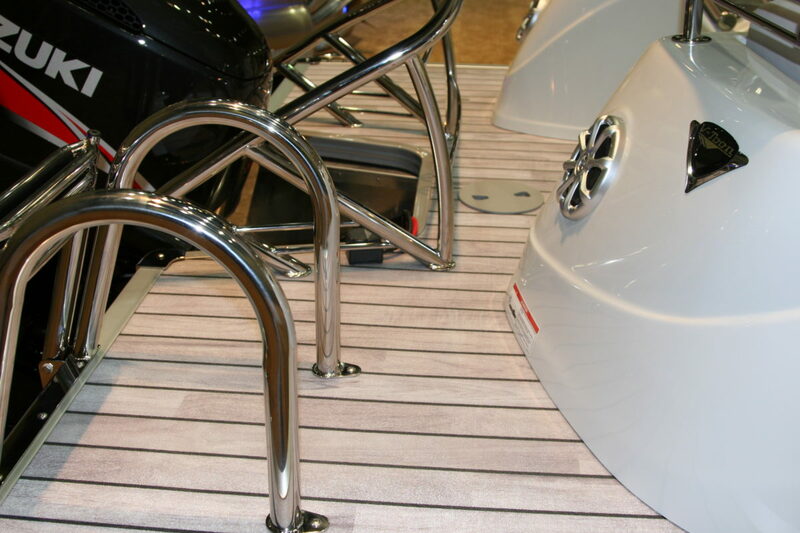 The seamless solid material offers superb moisture protection and resistance to oils, gas, fishing scents and more. 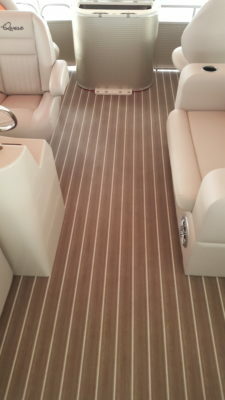 Your boat floor covering will not deteriorate or smell, will clean quick and easy, and look good for years to come. 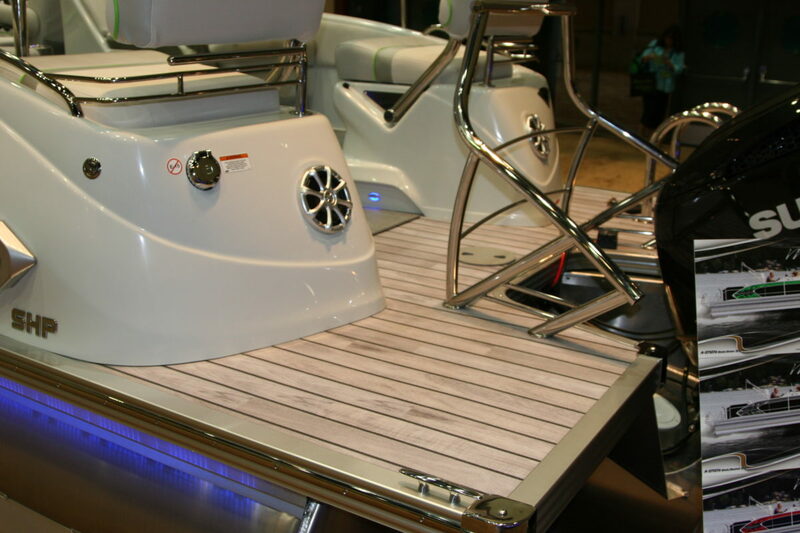 Maintaining your boat and its appearance take a lot of time and work. 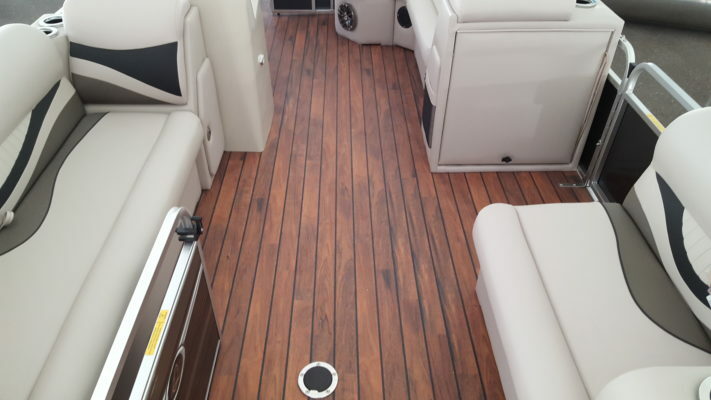 With AquaTread® boat flooring, you can be assured your boat floor will be protected from wood rot, common odors and stains, and the harsh UV rays. 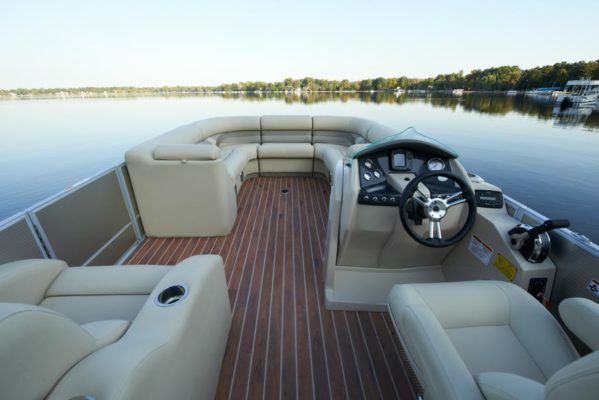 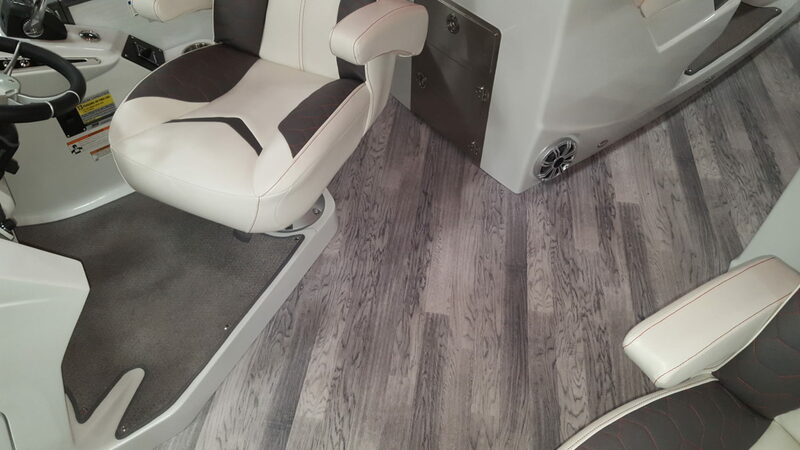 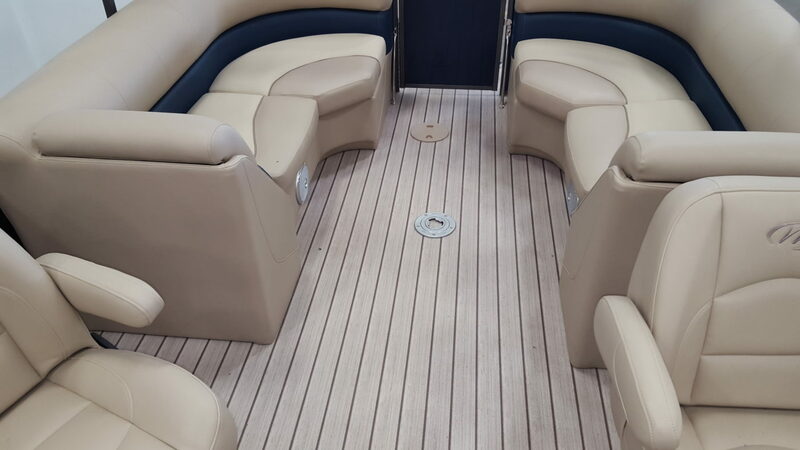 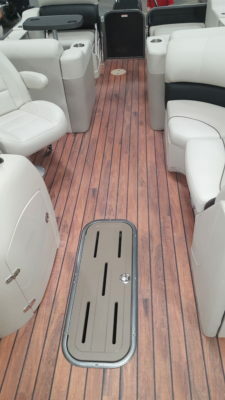 Proudly made in the USA, AquaTread® boat flooring is made from 100% polyvinyl and comes in a variety of colors and patterns ranging from simulated teak, weathered wood grains, leather, and even custom patterns. 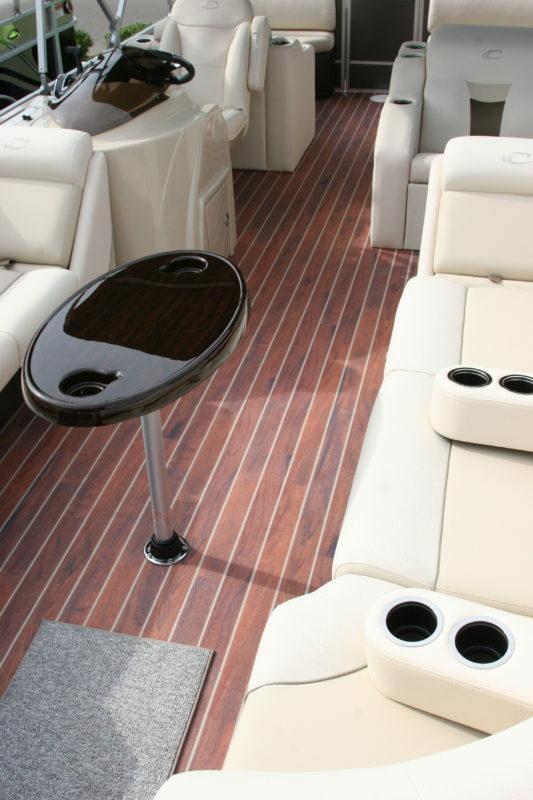 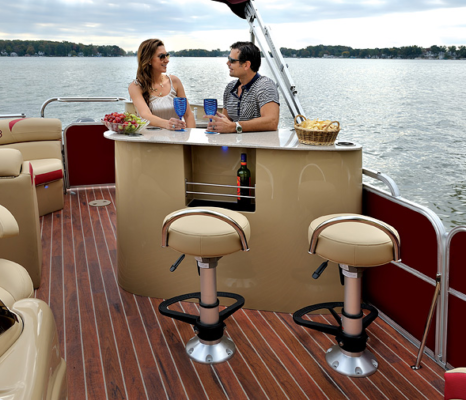 Our designs add the perfect high-end appearance to your boat, without enduring the cost of other materials. 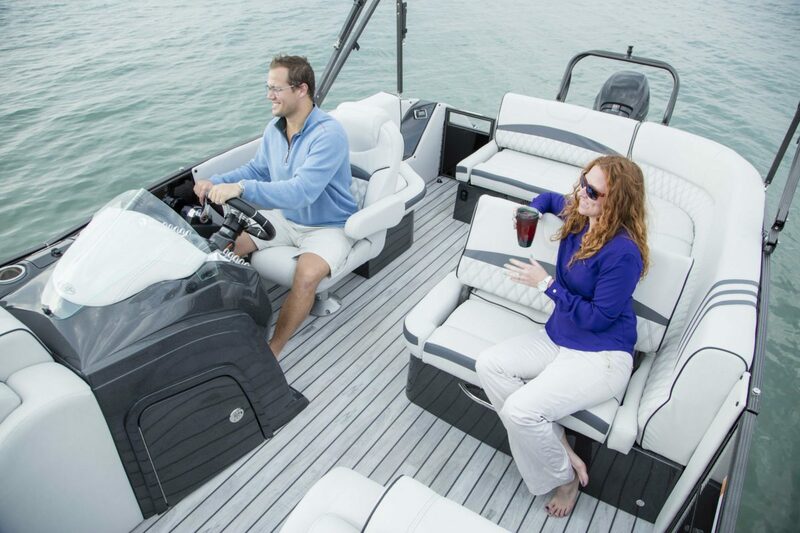 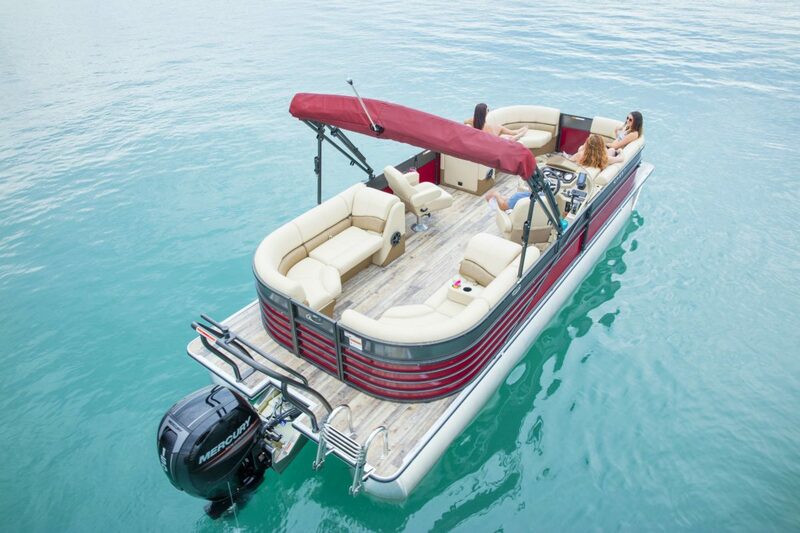 With long-lasting durability, a slip resistant finish, and easy to clean material, you will find yourself with more time to enjoy your boat, rather than maintaining it. Choose from 19 different colors and patterns or request a custom design. AquaTread®, a product of Better Life Technology, is proudly made in the USA and serves as the leading, ultra-durable, seamless, UV-stable polyvinyl flooring brand for boat manufacturers in the recreational marine industry. 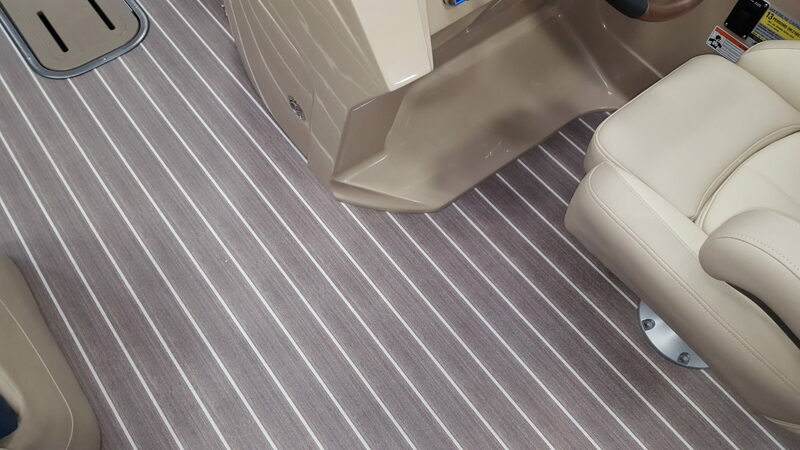 In 19 colors and patterns, our lay-flat, trim to fit, easy to install, seamless, joint-free boat flooring offers superior durability. 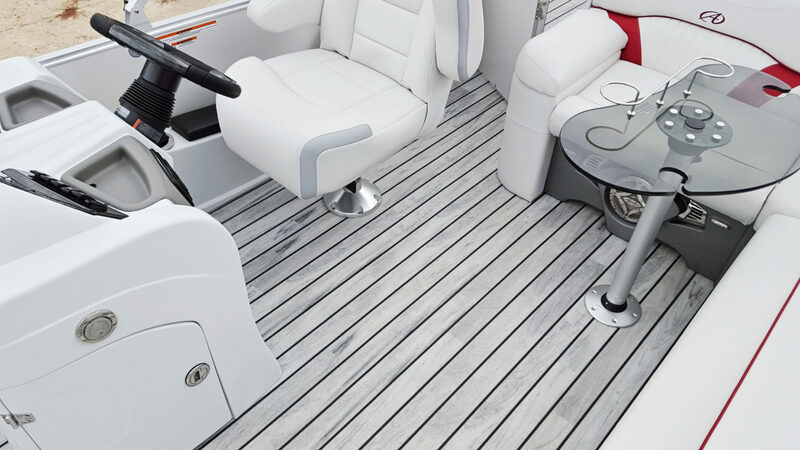 AquaTread® provides unmatched protection with its slip resistant finishes for added safety and offers a soft backing for a padded walk on the fore and aft. 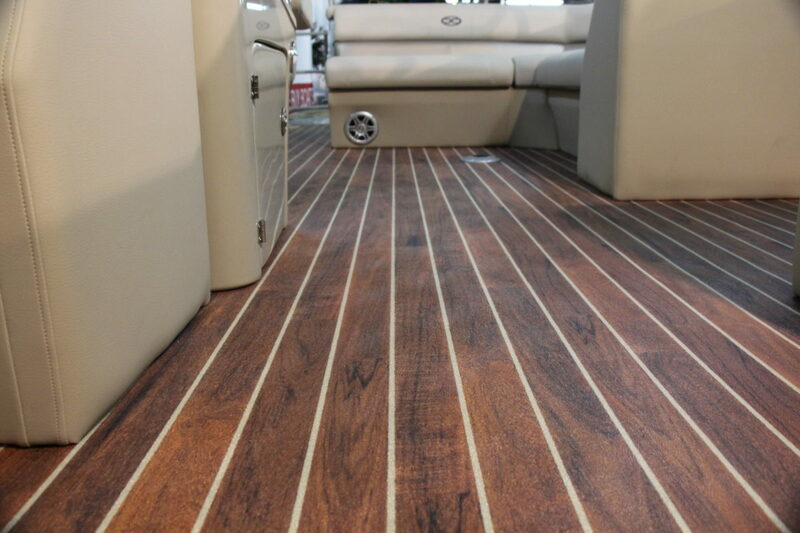 You create your own custom look from an array of available designs and our flooring resists odors and stains. 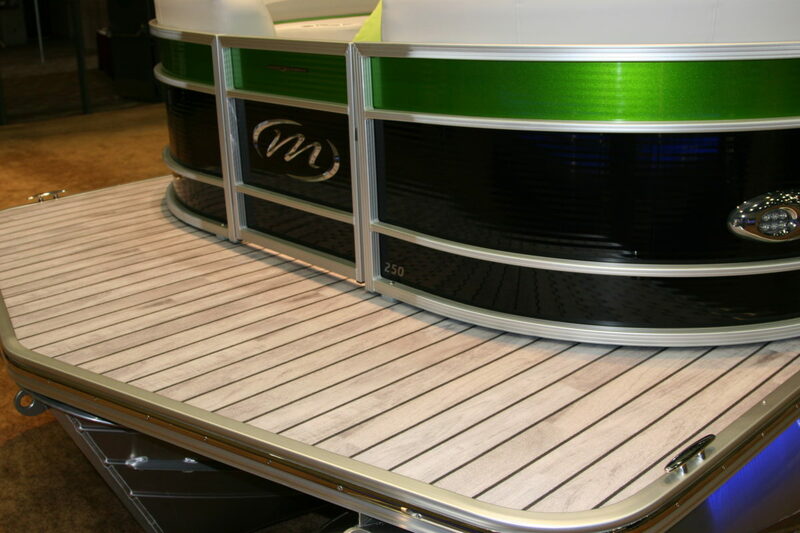 AquaTread® boat flooring is the perfect finishing touch to your boat.